As a Sensory Mama, I ask this question a lot. Sometimes it oozes with hope and optimism. It’s as much an exclamation as it is a question. Is today the day you try scrambled eggs?! Is today the day you go upstairs by yourself?! Other times, it’s a personal plea. A prayer. I’ve asked it, murmured it, wept it, yelled it, and thought it many times over the years. Is today the day you go in a bounce house or wear pants or sleep in your bed instead of on the floor or sit at the dinner table or push yourself on a big kid swing or go down a tube slide or tolerate a hand dryer or stay outside for fireworks or sit in the same room as “Finding Nemo”? 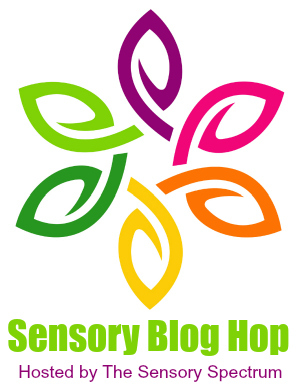 The reason for the question is because almost all of my son’s sensory victories have, in the end, been unexpected surprises. Sure, there’s been OT, storyboarding, behavior journals, practice runs, question and answer sessions and such, but over time, I’ve realized that my agenda – my timetable, my expectation, and my desire – has absolutely nothing to do with his. I can push, encourage, help, hug, dance, and cheer (and, believe me, I do), but only he can decide when to defeat the tentacles of fear and anxiety that wrap themselves tightly, inextricably, and insidiously around him. Sometimes I know the answer to the question before I even ask it. Is today the day you try pizza, hummus, a slice of turkey, rice, or fill in the blank food? Not a chance in hell, but I ask it anyway because I won’t give up and I won’t let him throw in the towel either. Sometimes I don’t know the answer to the question. Is today the day you let me leave you at a drop-off party? Is today the day you go on Splash Mountain? When I sense that there’s a chance (or that the answer isn’t a flat-out “no”), I do whatever I can to help him harness the courage he needs to succeed. 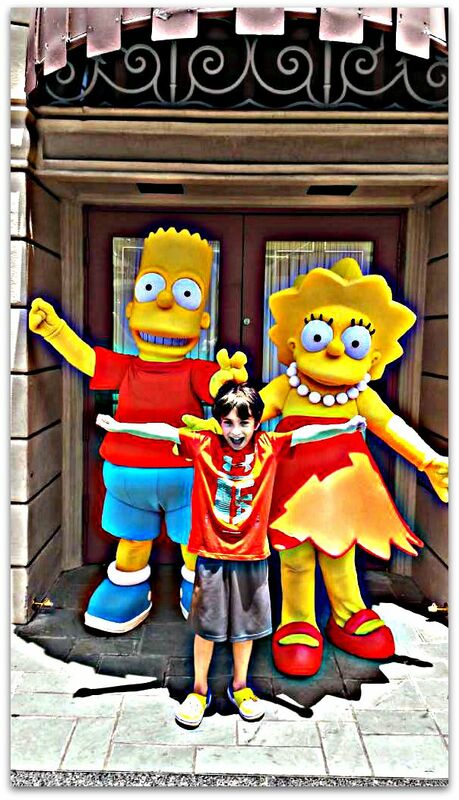 A few months ago, we took the kids to Universal Studios Orlando with my parents. My son wanted to go on The Simpsons Ride as much as he wanted theme park popcorn at nine o’clock in the morning. In other words, he wanted it badly. Is today the day you go on The Simpsons Ride at Universal? We tried twice in a row (we had express passes so the wait was short), but he backed out both times as soon as he reached the entrance to the ride. Everyone, including the employees, tried to convince him to do it, but he wouldn’t budge. He wasn’t ready, so we moved on. We danced with SpongeBob SquarePants in a parade, explored Diagon Alley, went on Transformers: The Ride-3D, ate lunch, saw Shrek 4-D, rode Minion Mayhem, and spent way too much time in the Universal Studios Store (thanks, Grandma!). Hours later, as we dragged our hot, sweaty, and tired legs toward the exit – toward air conditioning, the hotel pool, a shower, a glass of wine, and dinner – he announced that he wanted to try again. He did it! He battled the tentacles. That day was the day, and it was awesome. When we met up again, he declared that The Simpsons Ride was the best ride EVER, and, fittingly, he bought a pair of Homer Simpson slippers that he’s worn to bed every night since. Thankfully, the day has come for many of his challenges, which is reason to celebrate and, perhaps more importantly, to have hope for those that he continues to battle. I’m still waiting for the day he eats anything besides plain spaghetti, and when I lose my faith (and I often do), I force myself to think about The Simpsons Ride and all of the other victories over fear and anxiety that we’ve experienced along the way. All of these challenges – however insignificant they seem now – were insurmountable at the time. Reminding myself of the hard work we’ve put in gives me the strength to plow ahead. We just moved to a new town in a new state in a new part of the country. Everything is new. New house. New bedroom. New basement. New neighborhood. New neighbors. New camp. New restaurants. New menus. New school. New teachers. New friends. New routine. New is our new motto, and whether it’s sensory-related or not, I know that countless “Is today the day?” challenges lie ahead. Whatever your child’s fears are, don’t lose your spirit. I promise you, I won’t either. There’s way too much at stake. Just this morning, I whispered to myself, “Is today the day he goes upstairs to his bedroom by himself?” And guess what? It was. Dang you. You just made me cry in the bagel place. Rainbows, unicorns and strong spirit to YOU! Awesome post! Chills! That Simpsons pic is priceless, YEAH! The slippers are pretty awesome, too, even though the thought of sleeping in slippers makes me queasy. I can’t even sleep with my feet under the covers! I’m tearing up because I didn’t know other moms went through this. How did I not know? Different foods. Theme park rides. Itchy clothes not soft ones, socks with strings in them. Sigh. Thank you for writing this. Thank you so much. It’s a lot, right? But at the same time, he’s a regular, quirky kid just like all the other eight-year-old kids I know. Motherhood (and childhood) is a journey…for all of us! Today my son asked for a fork to eat his dinner. I was about to reply..what did your last slave die of…when I realised what had just happened and was off like a shot to get it before the moment passed. He is nearly nine and usually eats with his fingers. What a great achievement! Mine prefers to eat with his fingers, too (or a spoon…but who eats spaghetti with just a spoon! ), so I understand your joy…and speed! Oh my goodness… I definitely ask this question often as well. There are many days of walking on egg shells waiting to see how things are going to go. I also wonder to my self, “Is today the day?” for so many things… especially food. He only eats about 5 things so that is a huge concern. I always ask if he wants pizza or “whatever” for dinner with us but he always refuses. I won’t be discouraged though. I will be persistent because one day? He’ll say yes. Even if it’s just a lick, I will celebrate!